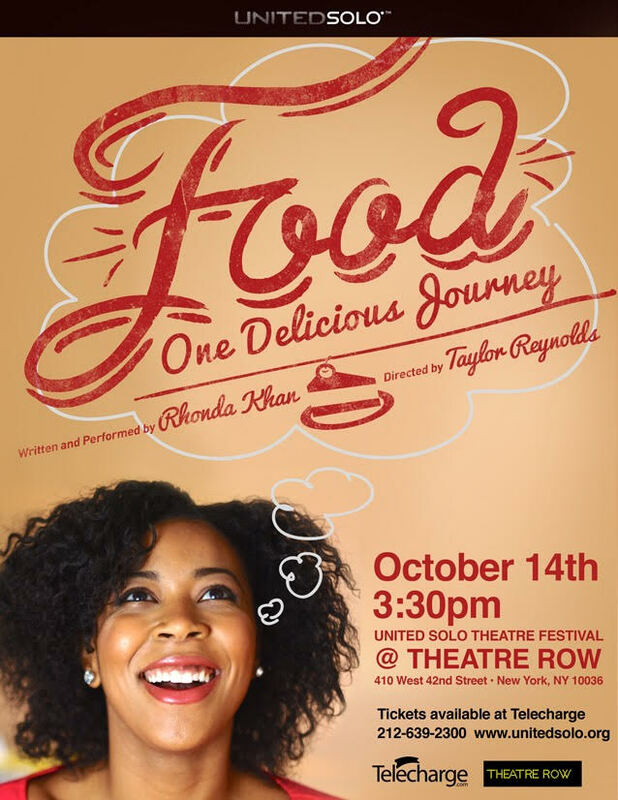 Rhonda Khan‘s Food will receive its premiere as part of the United Solo, the world’s largest solo theater festival, on October 14 at Theatre Row in New York City. Her new piece explores one of the most explosive topics, food, and her relationship to it. Originally from Chicago, she has starred in numerous plays, commercials, industrial videos and short films. Rhonda is also an actor-facilitator for interactive employee workshops, presenter at professional development trainings and conventions, and a trained on-camera host and interviewer. Rhonda spoke to Works by Women about how inspiration struck her, how she developed the piece and why more diversity is needed in theater. WORKS BY WOMEN: How did you decide to tell your story as a one-person show? RHONDA KHAN: In the summer of 2014, I woke up one day, and all I could think about was food. How I loved it, how I hated it, how I controlled it, how it controlled me. I had an urge to write so I did. When I first started typing, it was a free-write of all of the foods I loved to eat throughout my life. When I was done I thought: “hmmm, I wonder what this is going to be?” Then the next day I returned to the laptop. I got the idea for a scene in my head so I typed it immediately. I kept having these bursts of writing throughout the summer where I would write whenever an idea came to me. I didn’t know what this was going to be, but I kept listening to my instincts. Whenever I was moved to write, I did. A few moths after that first “writing burst,” I attended a week-long artists retreat in November 2014 for actors called the Blue Zone. One of our assignments was to create something, anything we wanted, and to share it with the group on the last day. I decided that I would share my writings and compile them together to create Food. I presented an excerpt of it to the group on the last day and after receiving such a positive response from the group, I decided I had to finish it, and make it a full show. Originally I had other actors read some of the different characters portrayed in scenes. Though the actors did stellar jobs reading the parts, I realized that there is power in performing your own words, and sharing my journey would be most effective if I did it alone. After seeing two solo shows shortly after, I realized that a solo show was the only way to tell my story. WBW: What excites you about being part of the United Solo Theater Festival? RK: Well, it’s the largest solo festival in the world. The fact that I get to premiere my very first solo show in this festival, performing alongside so many amazing solo artists, in New York City, at Theater Row, it doesn’t get any better than that. WBW: What can audiences expect from Food? RK: Food is a complete meal! It combines rap, storytelling, monologue, and a bunch of crazy characters to take the audience on my journey with food throughout the years. Audiences should expect to be delightfully entertained and emotionally engaged. It is my hope that through the exploration of my life, the audience will find revelations in their own. WBW: What’s it like writing and performing your own work? RK: It’s incredibly liberating, exciting, stressful, and terrifying all at the same time. Writing my show is therapeutic, I talk about lots of experiences that I’ve haven’t shared with most that know me. Sometimes it’s hard for me to articulate my feelings to others. Creating characters that express them for me is galvanizing. Performing is even more thrilling, because I get to incorporate all of the wackiness in my head and share it with everyone. RK: I can’t wait for audiences to see food. I’m ready to share this show with the world. I plan to keep submitting to festivals across the country and take it to my hometown of Chicago soon. RK: One of the main challenges women in theater is diversity and opportunity. Although things are changing, more roles need to be written to show the diversity of American women, not simply with regard to race, ethnicity, sexual orientation, ability, etc, but also depth and complexity of characters. More roles equal more opportunity. Doors need to continue to open, giving those diverse voices chances to tell their stories. RK: Women are taking back their power, and beginning to tell these stories. Though opportunities need to be given, we are also not simply waiting for those to give them to us: we are now making our own platforms and creating change. For more information and tickets to Food, visit here. 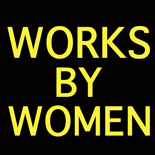 This entry was posted on September 28, 2015 by worksbywomen in Off-Off Broadway, Theater, Washington and tagged rhonda khan, united solo.